We are the leading manufacturer of Diborane Mix. 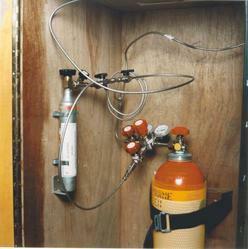 The Diborane Mix is a quality gas which has been produced using sophisticated manufacturing machines. We ensure that frequent quality checks take place to ensure high levels of performance. The gas is kept in cylinders which ensure that the pressure is maintained which increases its quality. Our experienced professionals test this gas for its purity and performance which is highly appreciated. The high rate of quality.